A romantic fairy tale set during the Cold War era of the Sixties, Guillermo del Toro’s latest feature is set in a secret government laboratory in Baltimore. Elisa Esposito (Hawkins) is a cleaner who works the night shift. She’s also mute from birth. One night the laboratory receives a new “asset”, an amphibious creature (Jones) captured in the Amazon river by military man Richard Strickland (Shannon). The creature proves to be humanoid, and though it’s ostensibly dangerous, Elisa develops a bond with it, and even uses sign language to communicate with it on a basic level. With the creature able to breathe in and out of water, the intricacies of its anatomy lead to the decision to have it vivisected. Elisa is horrified by this, and with the aid of her fellow cleaner, Zelda (Spencer), and her neighbour, elderly artist Giles (Jenkins), she determines to free the creature and return it to the sea. As she puts her plan into action, she finds unexpected assistance from one of the scientists at the laboratory, Dr Hoffstetler (Stuhlbarg), and unwanted attention from Strickland. Fully and firmly back on track after the disappointment that was Crimson Peak (2015), Guillermo del Toro has made perhaps his best movie yet. 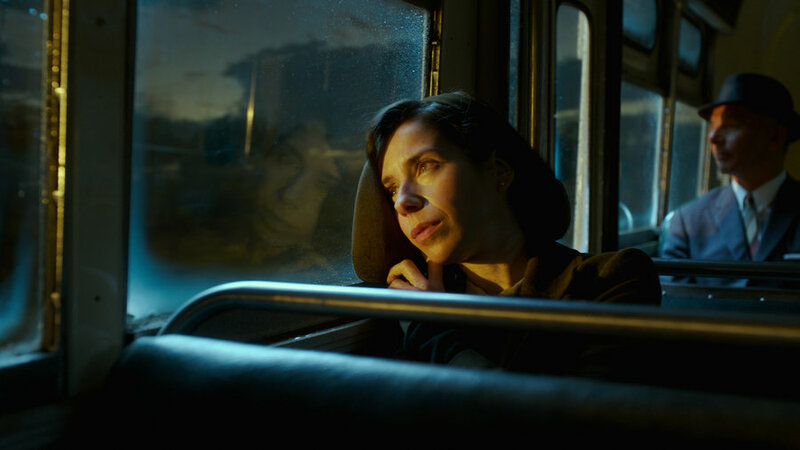 The Shape of Water is a veritable treasure trove of delights. By turns funny, dramatic, sad, tender, exciting, joyous, imaginative, bold, romantic, uplifting, and poignant, it’s a movie that crams so much into its two hour running time that it should feel heavy-handed. Instead it feels like the lightest of confections, even with the overtly darker undertones that are threaded throughout the narrative and which help the movie add a credible and palpable sense of menace to the overall tone. 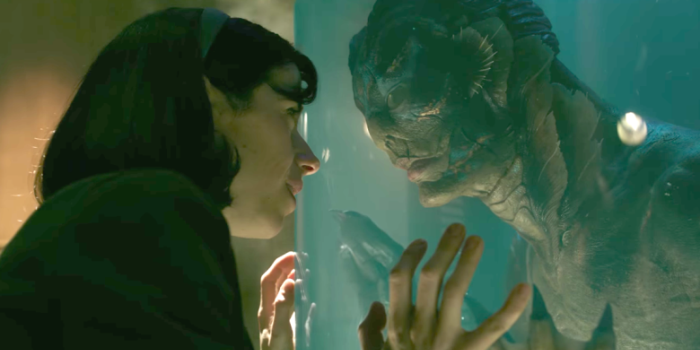 del Toro has long wanted to make a movie inspired by Creature from the Black Lagoon (1954), but it’s unlikely even he could have predicted just how good the end result would be. From Paul D. Austerberry’s masterful period production design, to the efforts of the set dressers (so much detail), this is a movie that is constantly inviting the viewer to come nearer and peer closely at all the objects that fill each frame. And then there are the small yet seemingly effortless moments that pepper the movie, moments such as Elisa and Giles’ seated dance routine, or the man at the bus stop with the partially eaten cake. It all adds up to a richness of texture that is nigh-on faultless. But the movie isn’t just beautiful to look at, it’s also an old-fashioned love story (an inter-species love story, to be fair, but hey, so what? As Joe E. Brown says at the end of Some Like It Hot (1959), “Nobody’s perfect”). It would have been so easy to misjudge the tone and the mood in presenting this romance, but del Toro and co-screenwriter Vanessa Taylor handle it perfectly, combining elements of magical realism and the aforementioned fairy tale aspect to wonderful effect. Hawkins – for whom the role of Elisa was written – gives a mesmerising performance, passionate and vulnerable, determined and caring, and capable of expressing any of Elisa’s emotions through the delicate shading of her features. As the principal villain, Shannon gets to add unexpected psychological layers to the role of Strickland, something that keeps the part from being that of a stereotypical bad guy, while Jenkins provides the majority of the laughs (and a great deal of pathos) as Giles, an elderly gay man still hoping to find love himself. Everything is rounded off by the music, as del Toro harks back to the golden era of Hollywood musicals. And just when you think he can’t squeeze in anything else, he gives us a black and white dance number featuring Elisa and the creature which is a tribute to Follow the Fleet (1936). This all leaves just one option: this much confidence must be applauded. 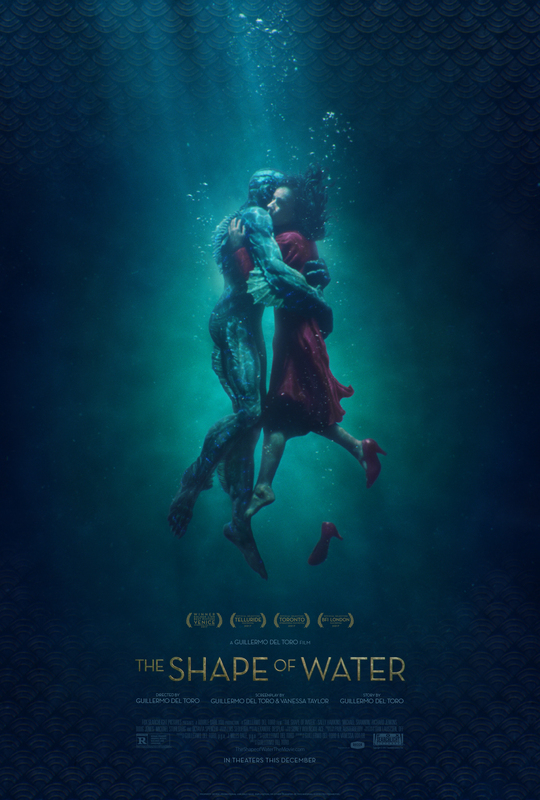 Rating: 9/10 – made with an intense amount of love and affection for its central characters, and with an elegance that shines throughout, The Shape of Water is a triumph of both style and substance; look closely, though, and you’ll find del Toro being quietly and unobtrusively subversive: ask yourself – which other movie are you likely to see where the heroes are in turn disabled, gay, black, and a Communist? Some movies that garner a reputation for being “obscene” or “perverted” upon release generally don’t have a long shelf life, and soon fade not into obscurity exactly, but rely on gaining a cult following to ensure they’re still watched and talked about. 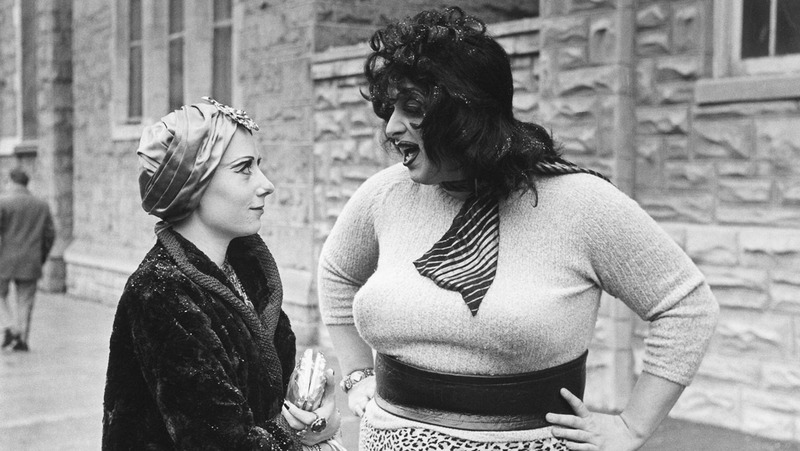 And any such movie certainly won’t expect to be critically lauded, or attain cult status amongst those who’ve seen it unless it has something that no one other movie can offer, and John Waters’ Multiple Maniacs has that something: the amazing, human tornado of strident perversion called Divine. Waters’ early work – this is his second feature – is synonymous with the rise of Harris Glenn Milstead as the merciless, murderous-minded, savagely anti-establishment grotesquerie known as Divine. This is a movie that puts itself out there as being counter-culture entertainment, a bargain basement, shot-on-16mm trash bag of arch religious references, austere social commentary, and documentary-like footage. It doesn’t look or feel like a standard issue movie because Waters has deliberately chosen to shoot it in such a diffuse, non-professional way that it often looks like a collection of outtakes strung together for convenience rather than a truly finished product where everything was shot as planned and nobody forgot their lines in the middle of a scene (which happens here a lot). There’s also a lot of guerrilla moviemaking, as outdoor scene after outdoor scene reveals a member of the public looking on in confusion and/or horror at what they’re witnessing (Divine in various states of undress and challenging middle class perceptions of good taste). Beneath all the amateur hour shenanigans and louche bravado of its characters though, Waters’ ode to unrestrained perversion is touchingly conservative in its approach, and nowhere near as bizarre as it wants you to believe. Part of the appeal of Waters’ movies in the early Seventies is their deliberate inversion of public, social and moral standards, and the ways in which Waters’ gleefully attempted to subvert the cultural values of the time. Waters was only twenty-four when he made Multiple Maniacs, but it feels like a movie made by a rebellious teenager taking pot shots at his parents (the religious elements) and the passive determinism of the denizens of his home town of Baltimore. It’s no wonder Waters wants to shake things up and challenge the status quo; he’s a young man still working out his issues from growing up. 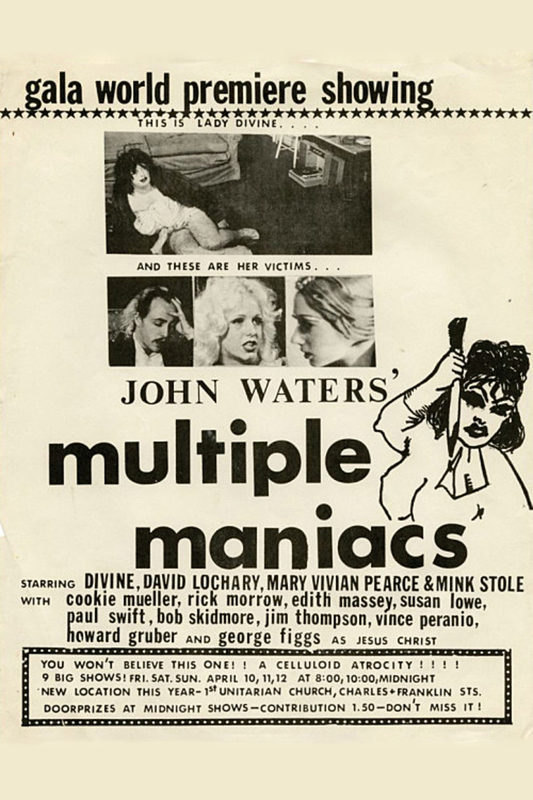 In Multiple Maniacs, this kind of celluloid psychotherapy finds its best and truest expression in the form of Lady Divine (Divine, naturally) and her Cavalcade of Perversion, the travelling freak show she fronts as a way of making money (by robbing the poor fools who are persuaded to see the show), and espousing her contempt for society. Lady Divine surrounds herself with “assorted sluts, fags, dykes and pimps” because they share her disdain for more traditional adult roles. They’re the protesters and the dissenters, acolytes who share her (and Waters’) disapproval at the way society treats the disenfranchised and the socially excluded. Lady Divine would kill them all if she could, but Waters’ Catholic upbringing precludes such extreme measures, and though his transgressive alter ego does kill on a handful of occasions, and even feasts on the entrails of one of her victims, when she’s finally consumed by a murderous mania, the most violent act she commits is to take a sledgehammer to a car. The movie’s more violent excesses are leavened by unintentional moments of levity, such as when Lady Divine attempts to stab her new friend, the Religious Whore (Stole), and begins her attack by stabbing the air above the character’s head, an obvious concession to the fact that Divine is wielding a real knife and doesn’t want to hurt his co-star. 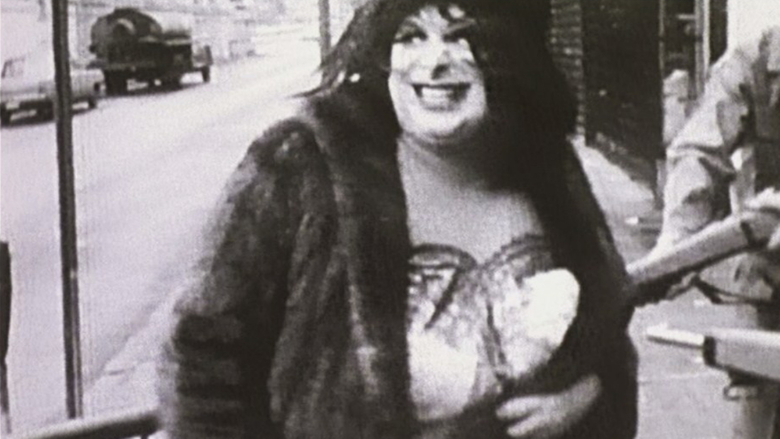 And towards the end, when Lady Divine is chasing dozens of people through the streets of Baltimore, her terrifying creature moment is undermined by the number of faces that are displaying laughter instead of terror. But through it all, Waters makes no apologies for the excesses he portrays, and he burns any religious bridges he may have had access to by juxtaposing Christ and the Stations of the Cross with Lady Divine being anally pleasured by a rosary-wielding Mink Stole. It’s profane and it’s crass but it’s still just Waters railing against the formalities and restrictions imposed by organised religion. 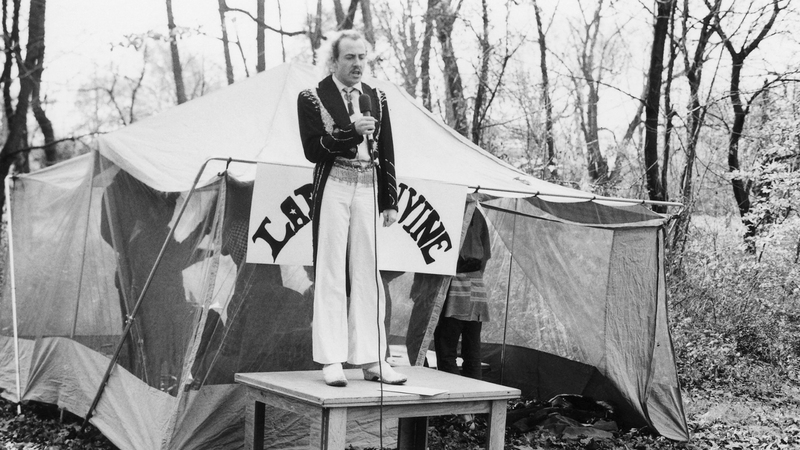 When Waters isn’t expressing his dissatisfaction with contemporary morality, he’s holding up a mirror to contemporary issues as well, with mentions of the murder of Sharon Tate – Lady Divine tortures her boyfriend, Mr David (the splendid David Lochary), with the possibility he was involved in her murder – and various references to the war in Vietnam. And he’s surprisingly waspish when it comes to notions of the nuclear family, with Lady Divine doting on her somewhat promiscuous daughter, Cookie (Mueller), while submitting to the attentions of glue-sniffing rapists, Miss Stole and her beads, and a giant lobster (Lobstora) that appears out of nowhere and sets her on the road to sexually-induced hysterical violence. And the idea that Mr David could be seeing another woman, Bonnie (Pearce), whips her into a hypocritical frenzy (and allows Waters’ favourite Edith Massey to provide her first mangled performance in one of his movies). The dialogue is suitably terse and aggressive, as befits a group of characters who are angry at themselves and the wider world, and though the performances are what you’d have to charitably regard as “authentically naïve”, there’s a rude energy to it all that more than makes up for the deficiencies of shooting on such a low budget. Waters opts for some uncomfortable close ups to highlight the pains and suffering felt by his characters, and doesn’t always worry if those images are distorted or out of focus (one gets the feeling a lot of scenes and shots were the first, and only, take). This adds to the documentary tone the movie adopts and exploits from time to time, and shows that Waters was very much aware of the concept of cinema verité when he was putting his movie together. All of which makes Multiple Maniacs a more heartfelt and poignant movie than may be expected, and shows that, despite all the attempts at shocking its audience, the movie is as much an ode to treating people of all walks of life fairly as it is about exposing the social injustices that stop this from happening. This leaves John Waters looking very much like a social reformer – and who would have thought that?